Two out of three distilleries on the Isle of Man are at war over the sponsorship of the tiny island’s annual TT motorcycle race. The Isle of Man TT is of the island’s biggest tourist attractions. The Isle of Man is home to just under 85,000 people, but each year thousands travel to the rocky outpost — which has UNESCO heritage status — for the annual TT races, often called one of the most dangerous racing events in the world. It has certainly proved dangerous for entrepreneurs in the isle’s extremely small but highly competitive spirits industry, as its oldest-running vodka maker has disputed a new rival’s right to sponsor a TT competitor. A complaint about Cronk Y Voddy — a Manx vodka label made by Douglas-based Seven Kingdom Distillery — sponsoring TT race rider Andrew Dudgeon, and the labelling of the product, has been upheld by the Portman Group, the UK’s regulator on alcohol advertising. The complainant, Kella Distillers, is the oldest operating distillery Isle of Man, and was the only one in operation for more than 20 years until 2016, when a new company launched in partnership with UNESCO. Kella’s owner, Alan Dixon, raised concerns that the sponsorship of a participant of the Isle of Man TT Race, which it said was known as one of the most dangerous road circuits in the world, implied that the brand advocated or condoned violent or dangerous behaviour. The distillery owner added that references on the labelling of the vodka to the races “encouraged dangerous behaviour.” Dudgeon came 4th in this year’s race. Portman ruled that the phrase “implied that the producer condoned dangerous behaviour,” and ultimately chose to uheld the complaint. Secretary to the Independent Complaints Panel, John Timothy said: “while producers can sponsor and create associations with driving events either on their labelling or websites, they have to be incredibly careful that there is no suggestion that the product encourages dangerous or reckless behaviour. Seven Kingdoms’ told the drinks business in a telephone interview that there was “obviously no intention” to condone dangerous behaviour, but would review their website to comply with the ruling and change the wording around the advertisement. 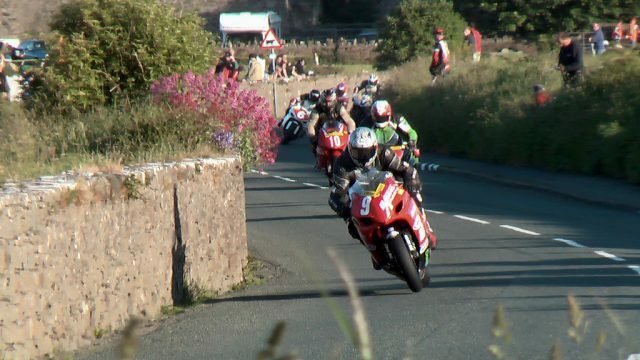 The next TT — which is one of the Isle of man’s biggest draws for tourism — is set to take place in June 2019. Ian Warborn-Jones from Seven Kingdom Distillery told db: “Whilst we are dismayed that a competitor would seek to gain an unfair advantage over a new business, we understand the panel’s findings and we will revamp our website with a greater focus on the drink driving aspect. Dixon has a history of facing off with competitors. Kella originally began producing what it called Manx Whiskey in the 1990s by redistilling Scotch into a pure spirit. The Scotch Whisky Association had been in a legal battle with Glen Kella over it’s use of the word Whiskey, it was originally released as far back as 1995. The spirit, which today is made from a re-distilled VS Cognac, is now known as The Manx Spirit after the legal battle was won by the SWA. Distilling was banned from 1827 on the Isle of Man for fear that it could be a cover for smuggling, and this remained the case until 1977. Fynodree Distillery has also been approached for comment.